The day after Thanksgiving can go one of two ways for you: Either you spend the day napping at intervals from all the turkey you ate yesterday, or you wake at the crack of dawn to ambitiously go after all the Black Friday sales happening at your favorite stores. If you're gearing up for the latter (which you probably are, given that you're reading this), it's all about preparation. Anyone who's braved the crowds on this particular day in the past knows full well the extent of the shopping mayhem in store. We advise you don't just walk into any old retailer and casually browse; instead, think ahead of time about the items you're aiming to purchase so you'll have a set list of things you're looking for. This year, I went ahead and created a Black Friday capsule shopping list and specifically focused on the shoes I'm after. I narrowed it down to five different shoe styles that I've deemed investment-worthy and, therefore, the styles that are worth hunting down during massive Black Friday sales. 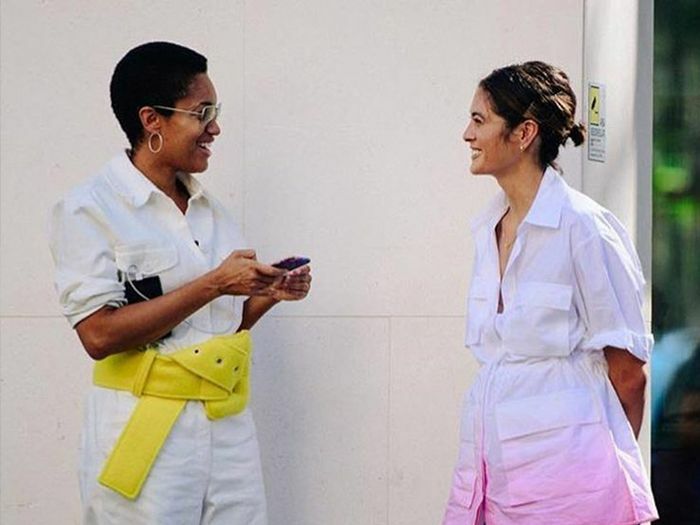 From the underrated (but timeless) sneaker style to the ankle boot trend with the most staying power and some The Row–inspired strappy sandals, the following shopping list includes all the styles I'm shopping for first this year. Ready to prep for the biggest shopping day of the year? Keep reading to discover which shoes are on my capsule shopping list, and then (you guessed it) shop the exact shoes I'm currently eyeing. This timeless style won't soon be "out." Reike Nen is a favorite of mine for quirky-cool shoes. A versatile take on the Western trend. These are so worth the investment. Sandals that go with (literally) everything. Everything Maryam Nassir Zadeh does, I want. I'll be tucking my skinny jeans into this beautiful pair. Because snake print is having a moment. Ingrid, day 10 in Paris . Wearing @gucci @netaporter #TheNetSet . No podría hacer lo que hago sin la ayuda de los mejores @okikotalents ???? It doesn't get any more classic than this. For when I want to feel like a French girl. Slip-on sneakers are ideal for travel. I'd wear these with everything from jeans to dresses. Dr. Martens boots last forever. Now you're all set to strategize your Black Friday shoe purchases this year.